The welding industry is quickly evolving. If you want to keep up with the latest industry developments, you should consider attending a welding conference. Professional welding conferences offer numerous other benefits for welding professionals – whether seasoned industry experts or recent graduates of a welding program. Why Attend a Welding Conference? 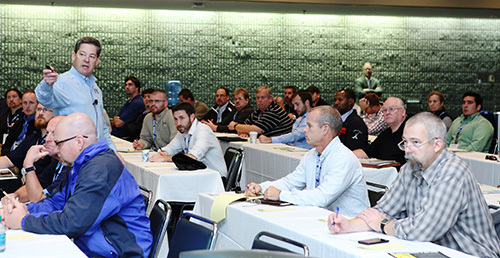 Learn about industry trends: Welding conferences provide many educational opportunities for industry professionals of all levels. You may learn about new welding equipment, innovative materials or novel manufacturing processes. Some conferences also hold workshops or seminars for attendees and offer you the rare chance to speak to leading industry experts. Network with colleagues and potential employers: Conferences are great for networking especially for those new to the industry looking for professional connections. Meeting someone in person and go far in making an important connection especially if you make a good impression. Attendees may also have the opportunity to inspire each other and spark new ideas. Even if these participants aren’t openly recruiting at the conference, you still may get some inspiration regarding which type of employment you seek. After the conference, it’s a good idea to reach out to the people you met sooner than later to remind them of you. It’s a Great Investment in Yourself: You’ve already spent some time and money receiving your welding training, but learning doesn’t stop once you graduate. You need to continue investing in yourself. Attending a conference learning about new trends, meeting people, and becoming inspired can pay off in the future. Investing in yourself will always have a great rate of return. Check out some of this year’s upcoming welding conferences, so there is plenty of time to make your plans. While aluminum is increasingly used in the automotive industry, welding and fabrication professionals tend to shy away from the lightweight metal as it presents a number of unique challenges. 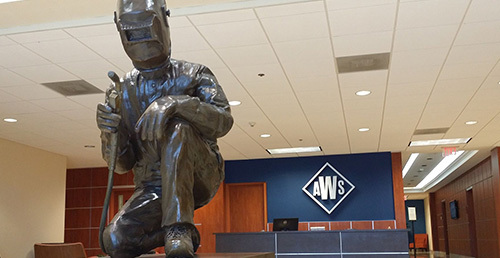 These challenges are addressed head-on at the American Welding Society’s Aluminum Conference, which provides a thorough overview of current aluminum welding practices, as well as a look into new aluminum welding technologies. In addition to tackling a variety of topics related to aluminum welding, the conference offers numerous informal networking opportunities. FABTECH refers to itself as largest welding and fabrication event in North America, but it is more of an expo than a conference. However, the presence of thousands of exhibitors and several talented speakers makes FABTECH worth attending. This year’s speakers will surely bring great insight into several aspects of the welding and fabrication industry. Whether your goal is to network with industry leaders to advance your welding career or to learn more about new welding technologies, you will likely come away from the welding conferences with a more comprehensive understanding of the welding industry and an increased desire to be involved in the industry.